Equities start the day higher as my friends across the pond get a much needed day off. You know how many public holidays they get in the UK this year? 8. Can you believe that? We get 11, Spain gets 14 and Italy gets a whopping 16, but our fine friends in London only get 8 public holidays to soak up that cloud filled sky! I spent a lot of time reading over the weekend, because my entire home is boxes (moving is the worst), and everyone under the sun is still calling top. Bill Gross called “top”, while also depressing me about death (to be fair, he’s called top about 15 times now). Warren Buffett says if interest rates rise it’s probably the “top.” At least Grantham at GMO says the top is still 100 pts away right? So let’s look around a bit shall we? Are there warnings signs we should be heeding? You all know I love this piece by Merkel “Fundamentals of a Market Top” and one of the things he mentions is that “the quality of IPOs decline.” Is that happening? Well, this article won’t help us sleep at night: “About 30 percent of companies that went public last year acknowledged they were at serious risk of incorrectly reporting their financial information, according to a study by New York law firm Proskauer Rose LLP. That’s up from 17 percent of issuers in 2013, the study shows.” What about retail investors, they aren’t piling in right? “A broad look at the 6.5 million customer accounts at TD Ameritrade indicates that retail investors are "pretty fully invested" in stocks, the online brokerage's CEO said Thursday.” Yea…so….how about that Game of Thrones last night? You sure don’t wanna be hanging out in one of Littlefingers retail establishments nowadays do you? After the open we traipsed around the highs as Friday’s enthusiasm saw a bit of follow thru. How about this market, I mean what can you say anymore. It gets smashed at the end of April down to 2080 because hey, why not. Then the first few days of this month completely eradicate that move because hey, sell in May is dumb. Quiet on the macro front (just Factory orders) so most of the day was spent watching headlines out of Ira Sohn. Since paraphrasing is my favorite way to talk markets I’ll let Josh do the heavy lifting here (and here). Lots of great comments / stock ideas in there so give it a quick read. Who doesn’t love hearing the best and brightest throwing stuff around to see what sticks? Financials had a sneaky good day with JPM at a new all-time high and WFC not far behind (10yr yields touched 2.13, heck of a move since mid-April). Good to see my friends, we need this sector to participate to remain constructive. What else hit an all-time high? CTSH, YUM, SJM, and AMCX. Nice list! Fast food, Don Draper, tasty food products, and IT consulting…gotta love the US economy baby! Losers were primarily energy names because these things have been hotter than Periscope lately. 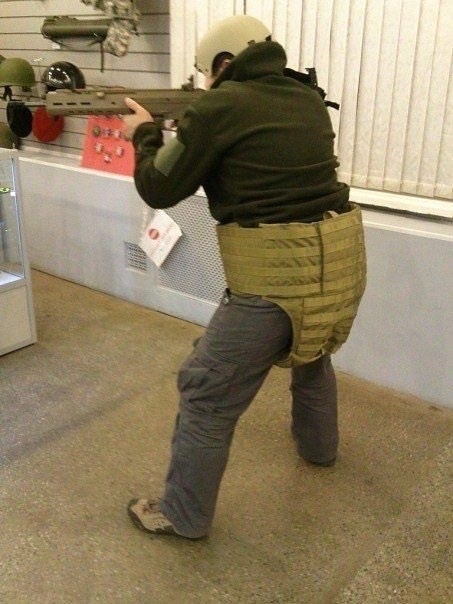 Stuff like RIG, VLO, DO, HES all fell 1-2%. Anyway, mostly a quiet first half as people watched Twitter and CNBC for random blurbs and ideas. By lunch we sat on 2,116, up 0.4%. The back half brought a whole lot of sideways and we closed at 2,114, up 0.3%. The all-time closing high is 2,117 so we aren’t that far away. Signs of the top? Sure, I guess there are some of them around, it’s hard to deny that fact. But bull markets don’t die of old age, and they don’t die because a bunch of retail investors are checking their accounts twice a day. Recessions end them, Fed rate hikes can end them, and those still haven’t appeared (one of those may take a really slow pace too). So in the absence of that it’s still a bull market, and new highs are in our sight. Succinct Summation of the Day’s Events: Quiet Monday but price action solid. Banks did well as interest rates rose. Ira Sohn Conference was the main event, lots of ideas so click my links! Rosie is still bullish…says you don’t sweat it until recession is here: Investors are not giving sufficient respect to the prolonged length of the current recovery, he said. He titled his talk the “Rodney Dangerfield Cycle.” Unless a recession hits, according to Rosenberg, equities will do well. “There is no such thing as a bear market that is not connected to a recession,” David Rosenberg said. But Uncle Carl sounds bearish! “I'm very concerned about the market, I think that you have a situation where this market keeps going up.... and yet a lot of the economic news isn't all that good and also more importantly, earnings aren't good." Is the market cheap? No, and I’ve said “no” for the past few years when I’ve posted this link. Valuation is tough to use as a timing mechanism. 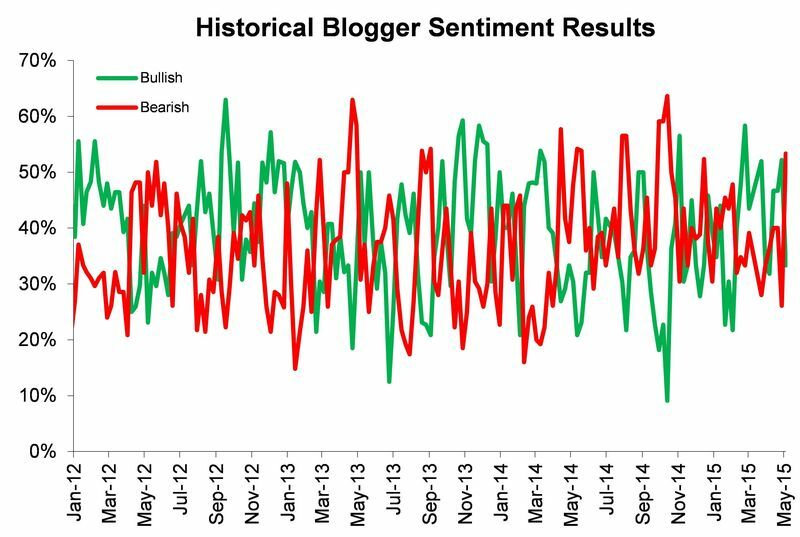 According to Birinyi’s latest poll bloggers are pretty bearish. Notice the surge every May? Man I hate the “Sell in May” thing so much. We’ll end tonight with a guy throwing things over his shoulder. I love the video, some of it might be fake, but my favorite part is his chosen title. So good.